The company's boss confirmed that Android-powered Venice will launch as Priv, becoming its first handset to use Google's mobile operating system. BlackBerry's first smartphone to use Google's Android mobile operating system has been in the rumor mill for a while but has never been officially confirmed so far. 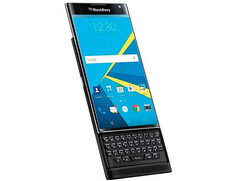 Now there is no longer room for doubt, as BlackBerry Priv has been officially announced. The statement has been included in the quarterly results report for the quarter ending on August 29. One of the highlights of the press release mentioned above reads the following: "Today, the company also confirmed plans to launch a flagship handheld device that will run on the Android operating system with BlackBerry security." The company's Executive Chairman and Cheif Executive Officer John Chen said the handset will hit the market as Priv, a name inspired by "BlackBerry’s heritage and core mission of protecting our customers’ privacy." BlackBerry Priv will use a slide-out QWERTY physical keyboard and promises to deliver "best in class security for enterprise customers." Nothing has been said about the specs of this upcoming smartphone for now, but since Priv is expected to hit major retailers later this year, we will surely hear more about it soon.